I remember going out for dinner with one of my husbands work friends and his wife. She turned round and said "If my husband bought me flowers I would know he had done something wrong. Men only get flowers when they are guilty". And there started 5 years of me convincing my husband that this is not the opinion of all women. I am a romantic and I love receiving flowers. For my birthday, for anniversaries or just because. And I always like having a bouquet around at Christmas. I'm quite fussy when it comes to flowers and don't tend to like reds and roses, instead opting for purples, blues, oranges and pinks. 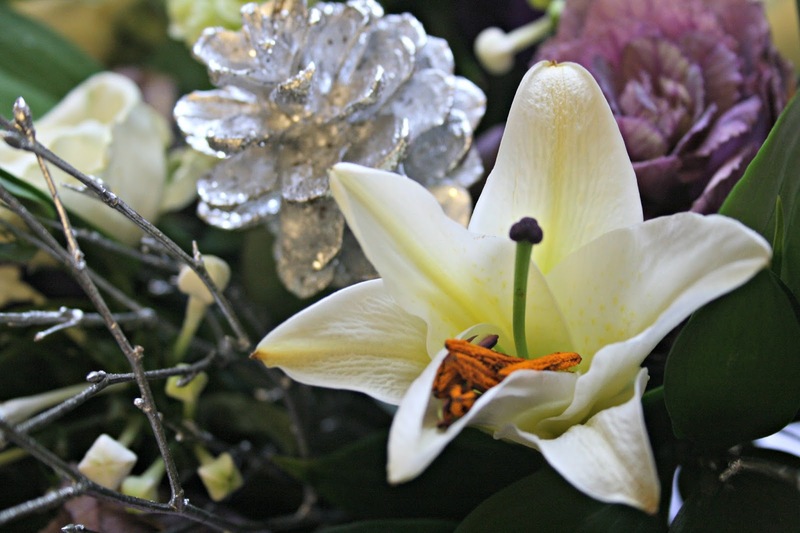 My favourite flowers are Lillie's so any bouquets featuring those are a sure hit with me. 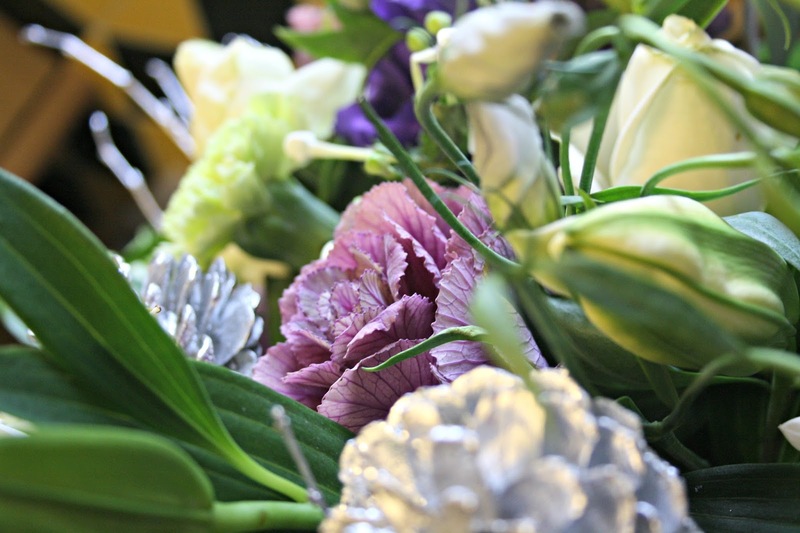 I was given the opportunity to review a luxury bouquet from Prestige Flowers and after a whole afternoon of being stuck between two of the designs on offer I went for the Winter Delight bouquet. The flowers were delivered last Thursday (the 12th) along with a small box of chocolates and a small teddy bear. The items were delivered via Royal Mail which I really liked as I knew roughly when they would come and didn't have to wait around all day. 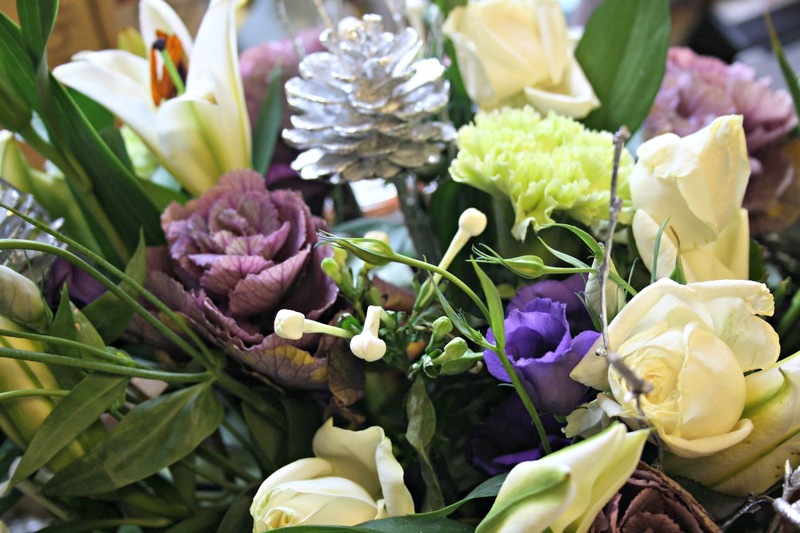 I love that despite the fact the flowers are not being the "traditional" Christmas colours of red and green and instead are different shades of beautiful purples they do not look out of place on a Christmas table display. I'm always dubious about how long flowers will last and a week on these are still full of life and the Lillie's have just opened and smell AMAZING! These bouquets cost around £39.50 and as it's so fresh and full and with such a variety of flowers, I feel you really do get your moneys worth. 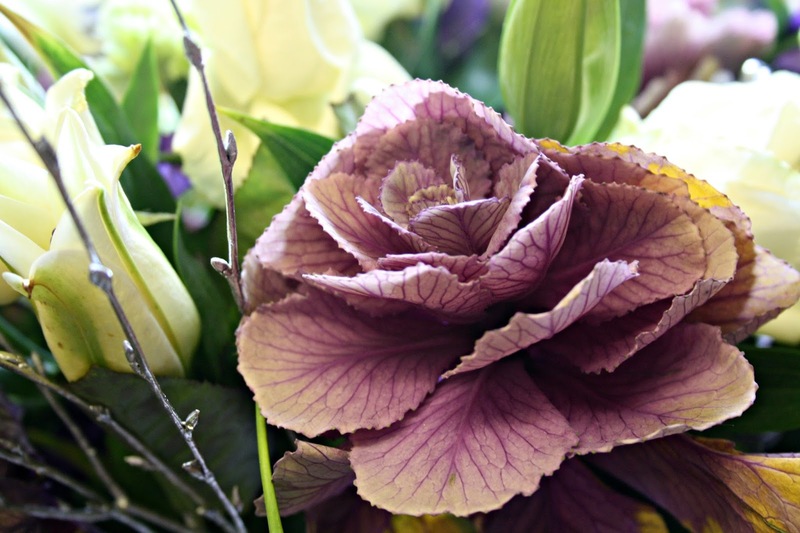 You have up until 4pm to be able to order flowers for next day delivery, and same day delivery is also an option. 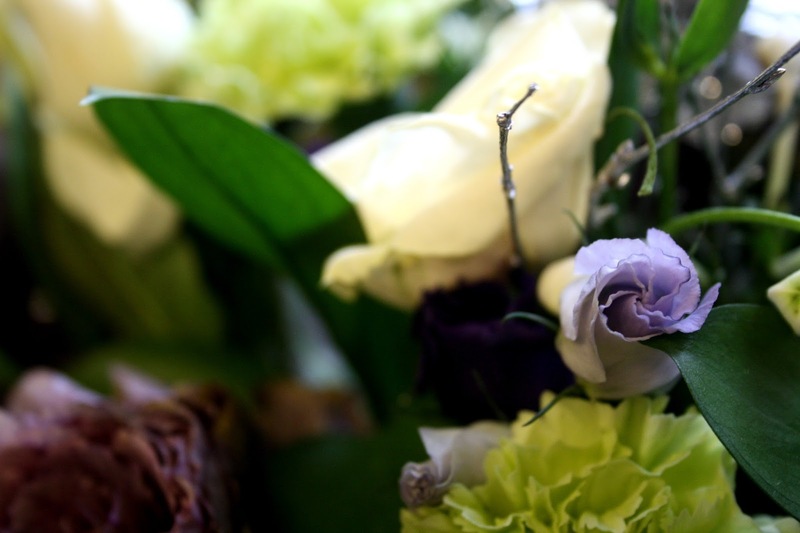 They are able to deliver flowers anywhere in the UK. Would we order from Prestige Flowers? Definitely. Looking at the website we love the different varieties of bouquets and gift available, and for every event or celebration.